I love a good adventure. 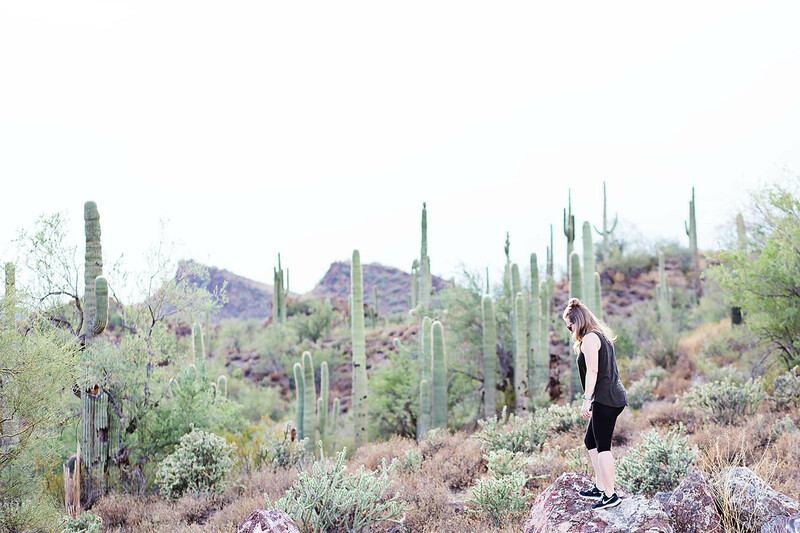 A hike in the mountains, walk down the streams, or exploring through the desert. What I don’t love is carrying everything with me. Even on short hikes near home, it’s important for me to have my phone, wallet/i.d., and car keys with me. The problem is, workout clothes don’t usually have adequate storage for all of these things. Especially my giant phone! I’ve seen running belts, but haven’t wanted to pay for one without knowing how much I’d like using it so I decided to make my own and I LOVE it! 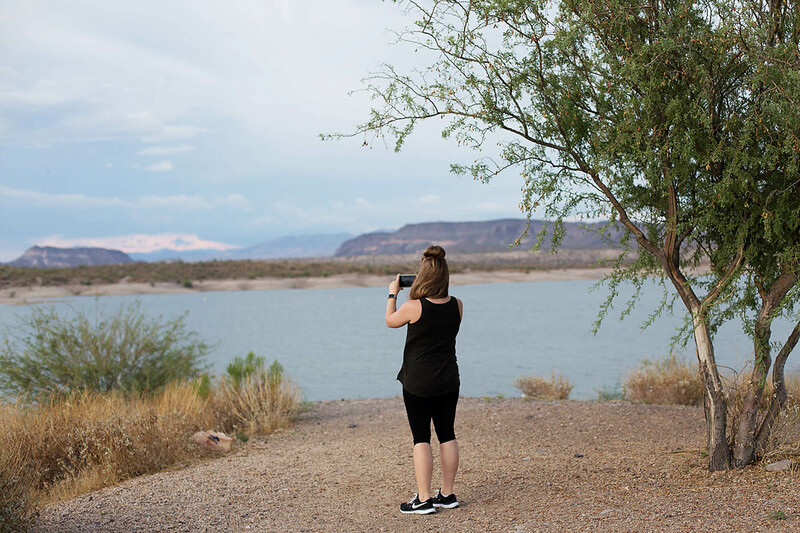 Our favorite way to spend a day together is exploring a new area or new trails and camping spots in areas around the city that we haven’t seen yet. My perfect spots have rocks, mountains and water! Sometimes we’ll make a day/night of it and set up camp so we can have a great dinner and glass of wine afterwards while playing games with friends. 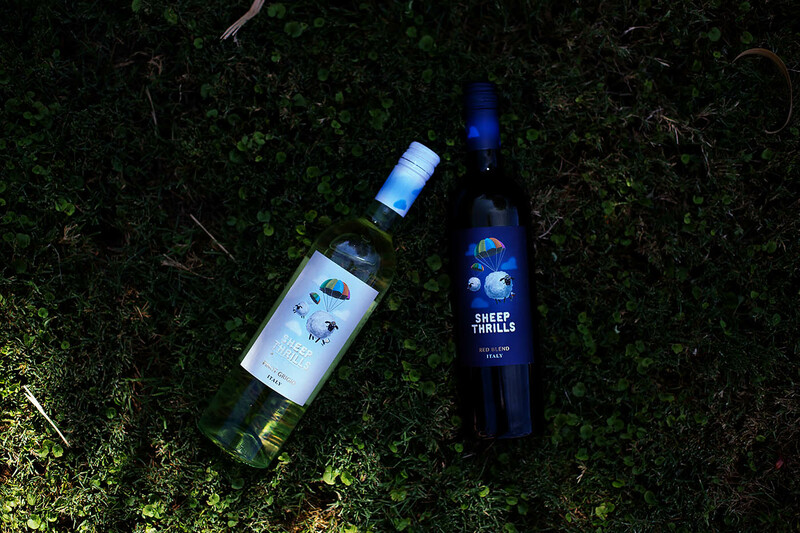 After this trip I grabbed some Sheep Thrills® Pinot Grigio and Sheep Thrills® Red Blend. They are such a fun company that values adventure so it pairs perfectly with a day out in the desert! Plus a screw top is always my first choice when choosing a wine to travel with! 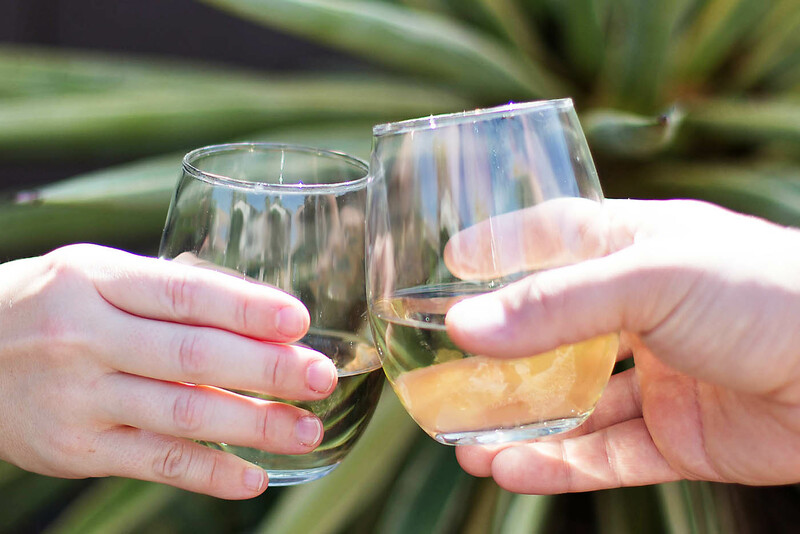 Their Pinot Grigio is delicate with floral and tropical fruit aromas that is a great go-to. The Red Blend has a good sense of body with notes of cherry, plum, and spices. Both pair perfectly with a day of exploring. Want to make a running belt to take on your own adventures? It’s SUPER easy and doesn’t require you to get out your sewing machine if you don’t want to! You’ll just need a super stretchy shirt and fabric glue. I used a seamless tank that I accidentally bought a size too small. It’s long and was too tight around my arms, but the tightness makes a perfect running belt. Cut a piece of fabric a little over twice the width of your phone. Turn inside out and fold down the top (I’m using the hemmed edge, but you don’t have to). Glue the bottom to the folded part. I used a washable fabric super glue. Make sure to leave enough space for your phone to fit through. I set my phone out to know where to stop gluing. You could add some contrasting piping, secure the edges with stitching or any number of things to spruce up your belt. I just left mine as is! To use, you just step into it and put whatever you want inside! I like to put my small wallet (or i.d. ), car keys and phone in it. It stays up and doesn’t bounce around, even when running or jumping. You can’t even see it if you’re wearing a longer shirt! 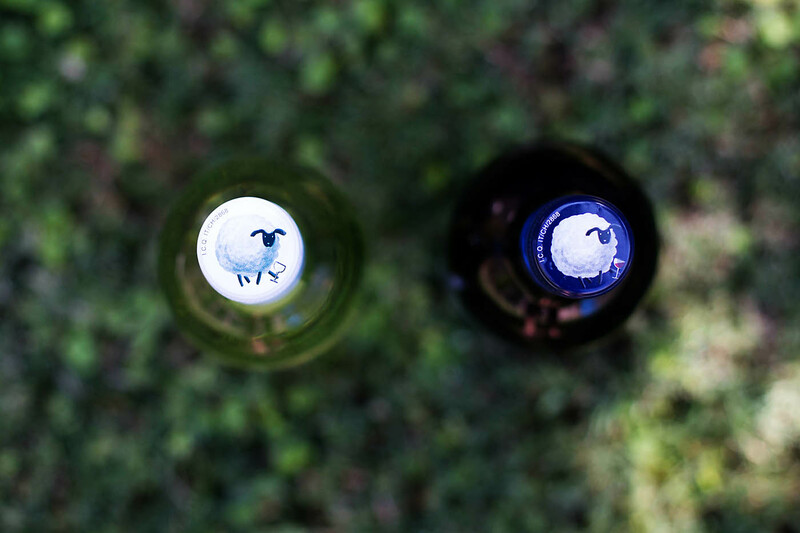 Adventures + a relaxing evening with Sheep Thrills wine? Doesn’t get much better than that! 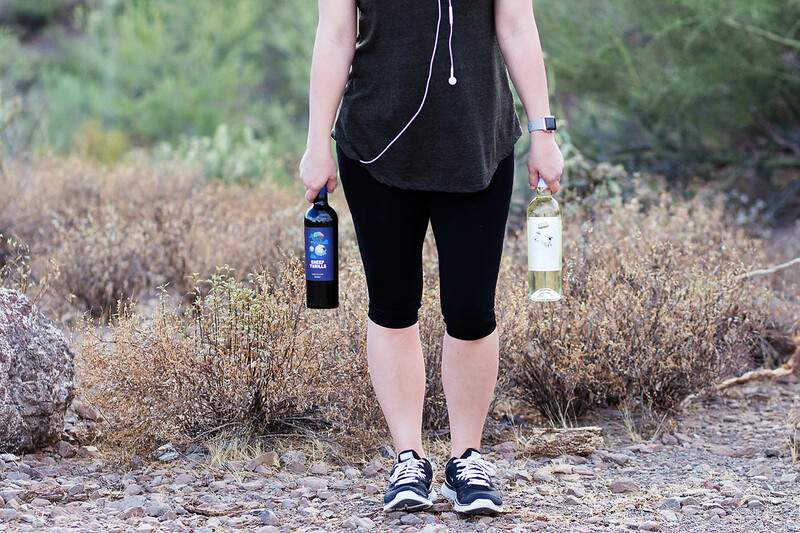 I definitely recommend picking up a bottle (or two) when you’re at the store. 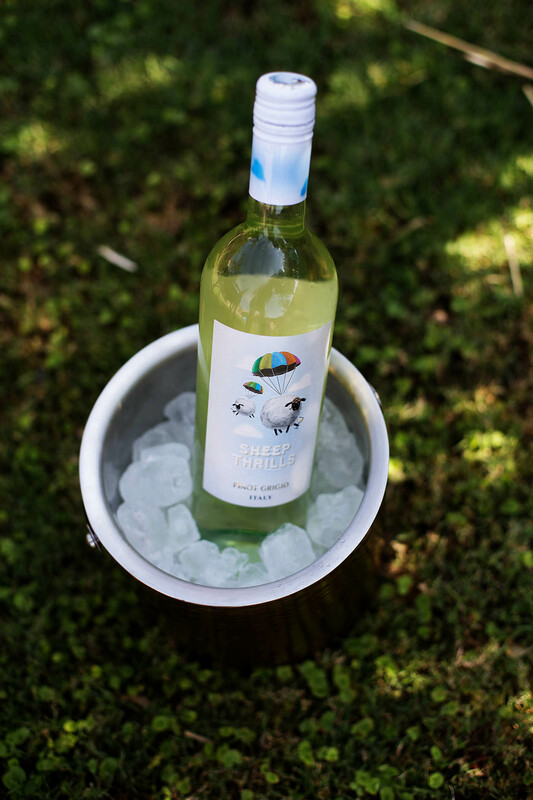 With their screw tops, and flavor that pairs perfectly with adventure, Sheep Thrills is an excellent choice to keep on hand for those times you just need to get out of the house and enjoy your family, friends, and the great outdoors. Girl, this post is SO great! I love the idea of a no-sew project that makes you want to get out and hike. 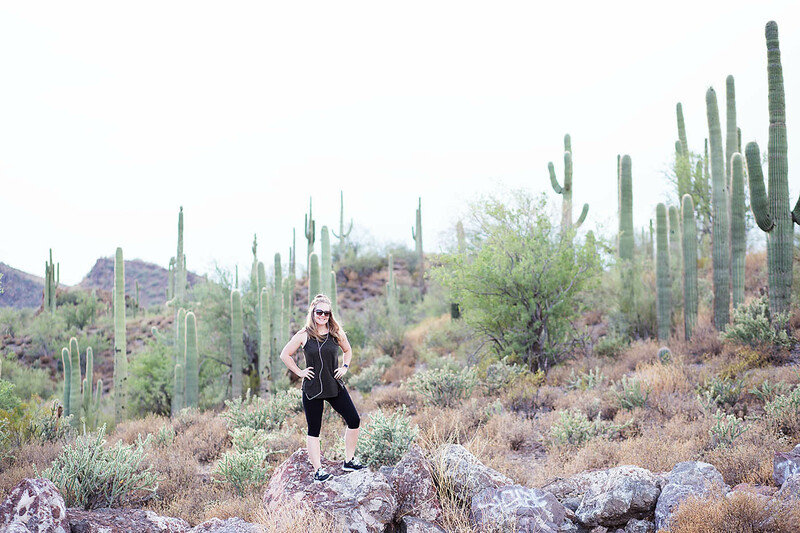 Those saguaros are also incredible 🙂 LUCKY you living in such a gorgeous place! I do feel lucky! Thank you so much and yes the “no sew” part always gets me to actually do something lol!